Lumex Deluxe Ortho forearm crutches is equipped with therapist-preferred Ortho-Ease handgrips which is angle adjustable and comfortably fit the user’s hand and wrist angle. 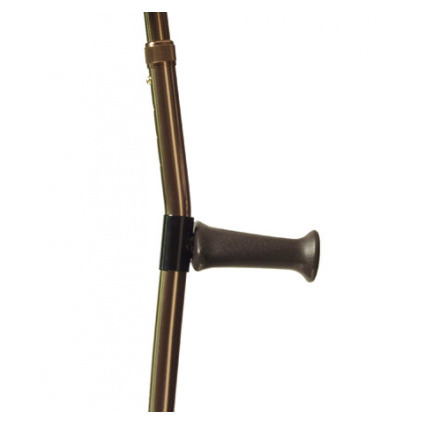 Ortho forearm crutch has the ability to properly position the handgrip which provides correct elbow flexion and reduce fatigue and minimize stress on the joints. 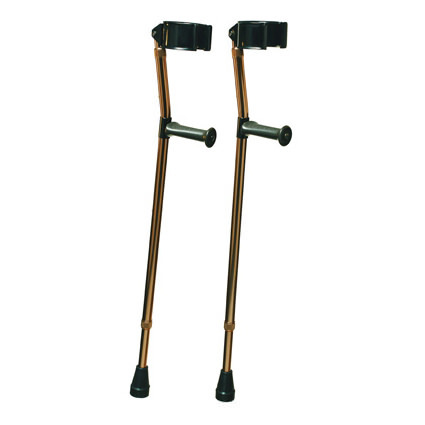 Deluxe forearm crutches comes with attractive bronze color with laminated color operating instructions. Height adjustment range 25" - 31" 30" - 36" 35" - 41"
Approximate user height range 4' 2" - 5' 2" 5' - 6' 2" 5' 10" - 6' 6"
Five year - Warranty on Frame. 3 months - Warranty on Normal wear components such as tips, wheels/casters, and handgrips.